I’m not sure why I waited so long to hop onto the The Lunar Chronicles bandwagon, but I’m sure glad that I’ve joined now. And boy, I can see why it’s been raved about so highly. Cinder is a gorgeous character. She may be modelled after the classic fairytale Cinderella, but Meyer totally made this princess character into something brand new and original. She only has one human friend, surprisingly which is her younger stepsister, and one android friend. Her struggles at being a second-rate citizen are heartbreaking. She never asked to become a cyborg, to be taken in by her stepmother. Yet, the world thinks so lowly of her. She is more than what her body parts make her to be. So what if she had a hand, foot, some ribs that were metal? Or had this really cool interface part of her brain that allowed her to detect and scan things? So what? 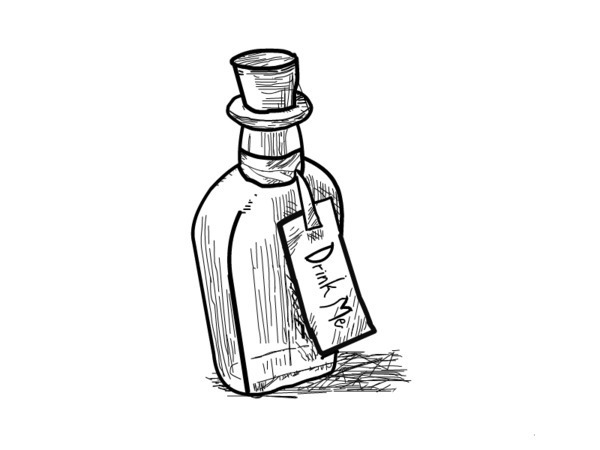 She loves and feels just like other people do, but ultimately, a label is a label. Which is why she of course could not admit to Prince Kai what she was. And going to the ball the palace was hosting? No, that was unthinkable, right? Not only is she a cyborg, but there’s also such a social divide between them as she was only a mechanic. Although that synopsis above sounded just like Cinderella (minus the cyborg part, obviously), there is so, SO much more in Cinder. Where many other re-tellings of the classic tale kind of stops there with the storytelling ideas, Marissa Meyer placed this whole story into a beautifully thought-out world that bloomed in the ashes after World War IV. They live in a place called New Beijing, with Kai being the next in line for the throne of the Eastern Commonwealth. I’m digging the Asian culture going here, and no, it’s not because I’m biased or anything. Not many YA novels feature Asian culture, and for that I’m already intrigued with the author’s choice of setting. To make this world further complicated, there’s a whole community of people living on the moon. The moon . No wonder it’s called the LUNAR chronicles, hmm? Should’ve seen that coming. These people living in Luna (no duh, ’cause that’s the perfect name for a city on the moon) are called Lunars and have powers! And they threaten war against the Earthen Union, which comprises of the 6 world regions on Earth including the Eastern Commonwealth. Solution? Marriage to Kai. But it’s not as simple as it sounds because, well – their queen is pure evil. Get it? Evil Queen? Oh no, what will Cinder do? And how the heck does she fit into this re-imagined world? As if the problems aren’t already wracked high enough for her, there’s a horrible lethal plague that randomly selects its victims and kills them within a week of the first noticeable symptoms. Man, that’s a lot of world building to take in within the first few chapters. And I absolutely LOVE it. Sometimes you just have to set the world of the characters into clear detail before the story can really take off, and this was definitely the case for Cinder. It made me appreciate so much more the creativity that went into designing it. Following Cinder’s adventures after she met Prince Kai was a real blast. There were so many secrets she had yet to learn about herself. It wasn’t an easy journey to find such answers, but the way she held it together even though no one respected her was very admirable. Heck, they were downright antagonistic and rude to her. If I were her, I would’ve spat at her stepmother multiple times. Kai was a loveable prince. He truly seemed smitten with Cinder, and I loved those little moments between them where it didn’t seem anything could possibly hurt their budding relationship. Of course, there was always the elephant in the room (she’s a cyborg! *gasp*), for which Cinder couldn’t truly let herself be with him. I like to think from Kai’s character that he’d get over that little fact…right? Anyway, with threats of war from the Lunars and the plague still wiping out numbers of people, life was not easy for the young princeling. I don’t blame him for what happened at the end, though for now, this fairy tale does not have its happy ending yet. Gonna hold out and hope the conclusion to this magnificent series will truly blow my mind as Cinder has. By the way, that cover? Genius. Who would have ever thought that Cinder(ella) could lose her “shoe” because it was in actuality her metal foot disconnecting from its wires? I repeat, GENIUS. 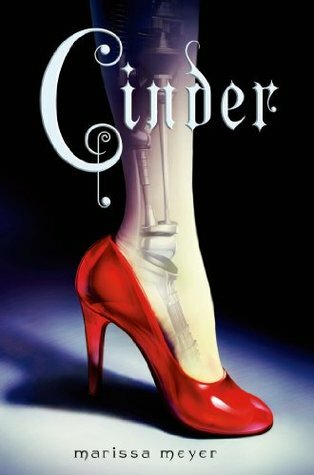 Cinder is an amazing example of a classic re-telling of Cinderella, but with tons more imagination in its world building. Our to-be princess is a lowly mechanic, but she’s also a cyborg, considered by others as not human compared to them. Cinder was a great protagonist, with such heart, but unable to prove it to most of her stepfamily. Upon her meeting with Prince Kai, things get more complicated than it already was for her, and soon, secrets about past and threats of war from Lunars loom on the horizon. With plenty of sweet sizzling chemistry between our lovely Cinder and her prince set in a dystopian world with people from the MOON that have powers to brainwash, this first installment in the Lunar Chronicles was definitely worth every single praise that was ever uttered about it.